Before you embark on your international journey—and even if you’ve already started—it might be a good idea to take a step back and re-examine the payment process and how it really works. Once you’ve seen payment processing “under the hood,” so to speak, you’ll be in a better position to evaluate how any potential provider will handle your future cross-border payments. Payment processing follows the same seven steps whether a transaction is domestic or international. However, there are some additional considerations for cross-border payments that, if addressed, will help you make the most of your international sales. 1. The customer purchase. You’ve succeeded in drawing another international customer to your checkout page—congrats! We’re all familiar with this part of the process: A customer arrives at your checkout page, shopping cart filled with merchandise (or services or software), ready to make a purchase. They choose a payment method and enter any required information associated with it. For cross-border payments: To make cross-border eCommerce a success, this step requires some extra attention—what we refer to as a “localized” checkout experience. The checkout page should always be presented in the language of the shopper. Not only does this make the customer feel more comfortable navigating the page, but it also feels more like a local shopping experience, making it more likely that they’ll see the process through. (Seventy-five percent of shoppers prefer not to make a purchase decision unless the site is presented in their native language!) A payment gateway with an emphasis on cross-border transactions will detect the shopper’s URL and serve up the appropriate screen. Similarly, the price of your goods should appear in the shopper’s local currency. This is important for two reasons: One, it helps your customer know exactly how much they’ll be paying, without making them jump through hoops by doing currency conversion calculations. Two, it’s more likely that the transaction will be approved by the acquiring bank (see step #2). Again, a simple URL check by your payment provider should provide the shopper with what they need. Lastly, your checkout page should offer local payment methods—no matter what country your shopper is in, they should be able to choose whatever method of payment they use normally. 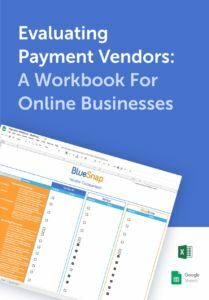 Without local payment options, you risk losing the sale altogether (up to 13% of shoppers will abandon the pursuit); at the very least, your customer won’t be completely satisfied with the experience. Want more strategies to take advantage of cross-border opportunities? Download our guide to optimizing global payments to help your global eCommerce business thrive. 2. Routing and processing. In this phase, the customer’s credit card information is captured and encrypted by the payment gateway. The gateway then sends an authorization request along with the transaction information to an acquiring bank—the bank or financial institution that processes credit or debit card payments on behalf of the merchant (you). The acquiring bank then sends the request to the issuing bank—the shopper’s bank—to request approval to process the transaction. For cross-border payments: To conduct cross-border eCommerce transactions more effectively, a payment solutions provider should be partners with numerous acquiring banks around the globe. (Some payment providers only have one acquiring bank partner, so it’s important to check!) Why? A one-bank partnership sets up global payments for failure. If the acquiring bank is located in the U.S. and the shopper’s bank is in another country, that transaction has a much higher probability of being flagged for fraud. 3. Approval. In the approval phase, the issuing bank either approves or denies the request. That decision might seem like a no-brainer—either funds are available or they’re not—but it’s actually based on a few different factors. Funds: Are the funds available to cover the amount of the transaction? Transaction value: Lower value transactions have a better chance of being approved. If you have higher ticket items you might consider offering a subscription plan for lower value transactions to increase the chances of approval. Currency mismatch: If the currency request doesn’t match the local currency of the issuing bank, the transaction is more likely to be declined. For cross-border payments: For cross-border payment processing, the approval step goes more smoothly when transactions are routed to the banks most likely to approve them—banks that are a good match geographically and that fit the currency and card type of the transaction. This type of “intelligent” routing helps increase approval rates by as much as 17%! 5. Order fulfillment. ‘Nuff said—you know what happens here. 6. Settlement and payout. In this stage, you, the merchant, receive the money owed to you for all of those global transactions. For each approved transaction, the issuing bank sends the appropriate funds to the acquiring bank, which then passes them on to you, sometimes via a payment solutions provider like BlueSnap. You usually have the opportunity to determine how frequently you’ll get paid—either daily, weekly, or monthly. Alternatively, some providers offer you the option to receive a consolidated payment, which means you’ll receive all funds owed to you—from all banks and all payment types—in one lump sum deposit. For cross-border payments: Typically, conversion fees (called FX fees) apply for merchant who prefer payouts in their local currency. However, some providers offer like-for-like payout options, which means they are capable of paying into your merchant account in the same currency of the original transaction. Merchants who take advantage of this option can save money on FX fees. 7. Reconciliation. Similar to balancing your own personal checkbook, reconciliation is how you keep track of what you’re owed and what you’ve been paid. You may get multiple reconciliation reports, one from each bank you work with; or, your payment provider may offer the option for a single consolidated report, which includes every transaction from every bank, currency, and payment type. For cross-border payments: Reconciliation can be especially complex for businesses that receive funds in multiple currencies. For instance, a global business headquartered in the U.S. might want Canadian-dollar transactions sent to a Canadian-dollar-denominated bank account, euro transactions sent to a euro-denominated bank account, and all other transaction currencies deposited into a U.S. account. To save time—and ensure accuracy in the process—it benefits you if your payment provider sends easy-to-read processing statements that clearly summarize the transaction activity related to each type of disbursement. The payment gateway you choose should make cross-border eCommerce simple for everyone involved—both you and your customers. Even if you’re not selling globally now, as your business expands, you may need support down the line. Why not partner with a payment provider that can support your needs at every stage of growth? Here at BlueSnap, we do get excited about international commerce, we admit it. But we’re not just internationally minded. We strive to offer all of our businesses—even those who stay close to home—a simple-yet-powerful checkout solution for exceptional buying experiences every time. To find out more about our global payment solutions, check out our website. Or, contact us to find out more about how BlueSnap can help your business realize its full payment conversion potential overseas. Previous Story Should You Consider Adding An eCommerce Subscription Model?